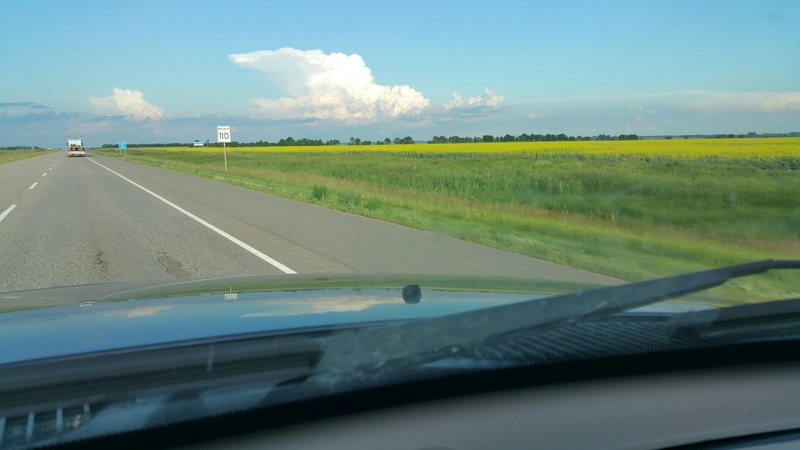 While enjoying wonderful prairie skies and fields, we travelled just over 1,100 kms today (100 kms over our goal!) and were in three provinces. We left Bassano, Alberta, this morning and are staying the night in Portage la Prairie, Manitoba. Saskatchewan went by in a blur but we did have lunch in Swift Current. 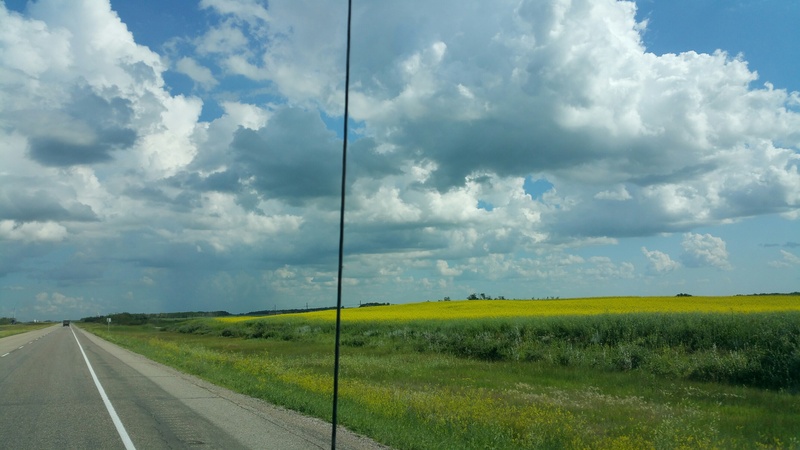 Once again, time was too short to stop and take great photos but the colours were wonderful – yellow canola fields, green grass (except in some very dry areas of Alberta) and blue skies.